Have I mentioned that I hate the cat and mouse game Spring likes to play? A snowy morning on Sunday and temperatures in the low 20s tonight are not the harbingers of Spring I've been hoping for. They do, however, make me think of The Doors and their song "Waiting for the Sun"; leftover from their album of the same name, the song eventually found a home on the 1970 release, Morrison Hotel. 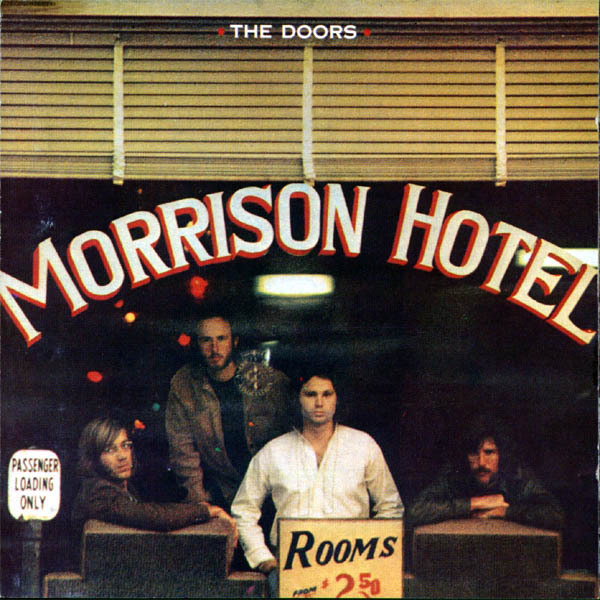 While Morrison Hotel didn't father any major hits for The Doors, it marked a return to their bluesy rock and roll roots. Personally, that is The Doors sound I love the most. So while we wait for Spring to cooperate (at least here in the Mid-Atlantic), enjoy some Doors and think great Spring-y thoughts. What songs does all this waiting make you think about? Perhaps another song by the same name, like The Jayhawks "Waiting for the Sun"??? (An excellent, though very different, song.) Let me know... if I have to wait much longer, I'm going to need a musical intervention! very appropriate! the sun is rather scattered here in TN, as well. Great post for this time of year. Waiting here.....not very patiently, I might add. Oh we have sun and then some. I know exactly what you mean, the sun arrived but until today it has been accompanied by a strong north westerly wind, which is not so good. At least winter is officially over. I enjoyed as always listening to your Tuesday Tune. Awwwwwwww I hoped you would've gotten my message about being in our Spotlight Dance.. maybe you still will. Hope you get many new followers. Have a great day & hope to see you next week.